With summer officially over, Hollywood closed its last weekend box office with the lowest single weekend earnings in more than three years. Total receipts in the US and Canada were just $67 million, the lowest they’ve been since September 5, 2014. Texas floods and the Mayweather – McGregor super fight did their part to eat into viewership for what was already a lackluster offering of new films. While these factors may explain this weekend’s drop, earnings for August are down 15% compared to last year, and the year to date is 5% off of 2016. None of this uninspired weekend’s offerings managed to claim the top spot that went to The Hitman’s Bodyguard. In its second outing, the action comedy starring Samuel L. Jackson and Ryan Reynolds made $10 million, which means it joins the list of the very few films in modern days that won first place with that kind of amount. The best seller among the newcomers was the Weinstein Company’s Leap!. This animated feature about an orphan with dreams of becoming a ballerina and her adventures in Belle Epoque Paris was first released in France and the UK in 2016. The Weinstein Company picked up US distribution rights when it was still a French language film. They then retooled it for the American market with a full English dubbing and the substitution of Mel Brooks and Kate McKinnon for two of the original voice actors. Leap! opened third in North America with $5 million. After Leap!, the next biggest major release in the US was Kung Fu flic Birth of the Dragon. BH Tilt, the mini-budget arm of already famously thrifty Blumhouse Productions, produced the film. Dragon is the story of a fight that took place during Bruce Lee’s first years in America that would become almost legendary in some circles. The story goes that Lee had begun attracting criticism from San Francisco’s traditional Chinese martial arts community for teaching Kung Fu to non-Chinese students. Many versions of the encounter have been circulated throughout the years but in this film a martial arts master named Wong Jack Man is sent from the Shaolin Temple in Henan province to see what secrets this unknown teacher was showing his western students. Lee meets Man, and ends up challenging him to a fight that wins him the respect of the Chinatown Kung Fu scene and sets him up to become the world’s most famous martial artist. Birth of the Dragon took eighth place with $2.5 million. 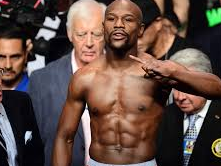 Next on the list, just a tick down at $2.4 million, was Saturday’s big boxing fight, a clash of styles that has captured the world’s attention and brought in a still to be totaled, though undoubtedly astronomical, pay-per-view revenue. Defensive tactician and all time boxing great Floyd Mayweather Jr. went up against Wildman mixed martial arts superstar Connor McGregor in a captivating bout that was as much a fight between the exponents of traditional Queensberry rules combat and the more brutal style of encounter now most widely associated with the UFC as it was between the two athletes in the ring. Fathom events, a company best known for hosting live theatrical broadcasts of the New York Metropolitan Opera across the country, had the foresight to secure in-theatre streaming rights for the bout. Details of the deal’s structure have yet to come out but with an effective production cost of zero dollars they’re sure to have made a sturdy profit from showings on 481 screens. On the international scene, China’s six-week moratorium on new foreign films closed this weekend and Valerian and the City of a Thousand Planets was the first Hollywood picture to move into PRC theatres. It earned $29 million there, taking its global cume to $124 million. This sci-fi epic reportedly cost $177 million to produce and is neck and neck with Warner Bros.’ King Arthur: Legend of the Swordto be 2017’s biggest flop. Next week period romance Tulip Fever opens in the US alongside Noomi Rapace and Orlando Bloom thriller Unlocked and a re-release of Close Encounters of the Third Kind.